At the Canine Clipper we love to spoil your pets. Whether it's with a bath and trim, or a playful stay overnight in one of our boarding suites, your pet will be treated with love and care from our staff. We offer competitive pricing to meet any owner's needs. From a simple Bath and Brush, to a full service Pampered Pooch, we will leave your pet looking its best. 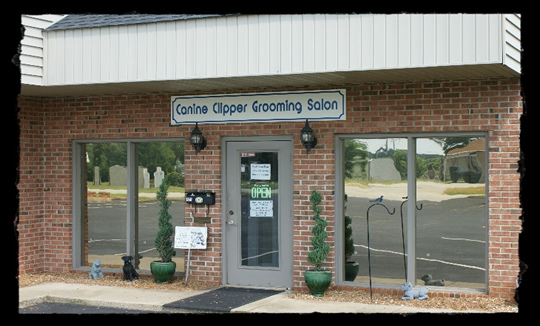 Veterinary recommended and conveniently located just off Fairview Road in Simpsonville, SC, the Canine Clipper is ready to serve your needs as a full service grooming salon and home-away-from-home boarding. We also offer a great selection of top quality foods, toys and treats. © 2012 - Canine Clipper, LLC.